Handful of Merchants Impeding Hartford’s Progress? 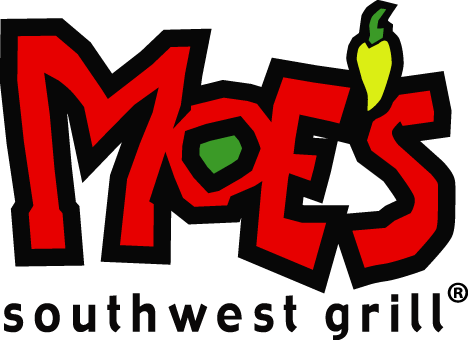 If I told you Moe’s Southwest Grill opened a handful of restaurants in Metro Hartford you might say, “yes, there is one in West Hartford and one in South Windsor.” You’d be right. They are in highly visible locations in Blue Back Square and in Evergreen Walk. But did you know there is also one in Downtown Hartford? However, if you walk around the streets of downtown you will never ever see it. Yes, it is true. I noticed it the other day when we brought our daughter to Santa Claus at State House Square. There it was, inside down a hallway from the street, mere steps from the line of families waiting to see Santa. Guess what, Moe’s was closed. Insert amazed look here. Years ago, I believe it was Hartford Courant columnist Tom Condon who wrote something along the lines of “it is hard to feel badly for a city with two left feet.” This is a perfect example. State House Square has several excellent eateries, all of which have very limited hours, about 10-2, only Monday through Friday. According to some of the tenants, management of the Square does an inadequate job of promoting these places. There is no list of restaurants sign on Main Street beckoning pedestrians to come inside to what many people believe is merely an office building. What is really strange about State House Square is that the prime location on Main Street has been empty since Bagel Boyz moved out a decade ago. It would be a great spot for Moe’s. I also can’t figure out why the Square doesn’t open for special events. 45,000 people came to Hartford for the Connecticut Veterans Day Parade some were parked in their lawn chairs right in front of State House Square. It was closed!!! One of the biggest complaints from parade goers: no place to eat. The Old State House would be wise to open on Sundays, too, but that is a story for a other day. Merchants will argue that “we don’t open because no one comes downtown on the weekends.” That is false. From the new residents to games to concerts, to churches, to Festival of Light, to parades, to the museums: people are here. Hundreds every Sunday. If you open, more will come. Think about it, if the stores in Blue Back Square decided to close on Sundays, word would spread and no one would go there. If Downtown Hartford had a concerted effort to open on Sundays, word would spread and more people would show up. The state has spent millions on Connecticut Convention Center, the Science Center and other projects. Developers have poured in millions of their own money. The Hartford Arts Council and Business for Downtown Hartford are also working very hard to bring more events to the city, and businesses should support their efforts by opening up. How a multi million dollar corporation like Starbucks can remain closed with a throng of parade goers outside their window is mindboggling. The company says it cares about the economic impact on the places where it has stores. What about Hartford? Some people get this. Larry Gottesdiener of Northland has been criticized for his requirement that his new tenants open on Sundays, but I support his philosophy 100 percent. His goal is to make a thriving downtown. His residential tenants don’t move out on Sundays, why should his commercial tenants shut down on those days? One of his restaurant tenants closed after griping about a lack of business. This is the same eatery that Kara and I noticed was closed the night of a concert that had Pratt Street packed. People were actually sitting on the steps of that apathetic restaurant eating takeout from another restaurant. Yep. .”lack of business” was the REAL reason they later went out of business. Gottesdiener should hold his ground. Hartford 21 could use something like a Vaughan’s, a JoJo’s, a Dish, a Hot Tomato’s, or any one of the other businesses that is open 7 days a week. Maybe a Moe’s like the ones in the suburbs. I blogged about this Sunday problem last month. Something needs to change. I will definitely stop by. Sounds great! Well said, I completely agree. I used to work at the Wadsworth and it was embarassing that if our cafe was full, the only place I could direct visitors for lunch was Burger King, because at least I knew it was open. I live downtown and we have more and more visitors every weekend. I cannot agree more with the idea of heading down to the Science ctr for a look around and a bite to eat! I was just there for the 12/8 Liquid Lounge and it was an awesome event! It was packed….just about wall to wall people having a great time! It was very energizing and I couldn’t help feel the vibe that downtown has to offer. Did I mention the food and presentation were outstanding! and the kicker….this all took place on a Tuesday night!!! Way to go Science Ctr…you should check out the next LL, coming up in February. Take care! Dennis, Sparky’s Hook & Ladder Restaurant, a family-friendly fireman-themed restaurant & bar located on the 1st Floor of 207 Main Street (next door to the South Green Fire Station) has been open 7 days a week! We have been serving Breakfast from 9:00am-2:00pm every Saturday and Sunday and open our doors Monday-Friday (serving Lunch & Dinner) at 11:30am! In fact, we are the ONLY restaurant in Hartford to offer FREE Parking onsite! We are close to the Bushnell, CT Science Center, CT Convention Center, XL Center, Wadsworth Antheneum, Veteran’s Day Parade & St. Patrick Day Parade Routes, and more!! I invite you and your readers to join us for Breakfast, Lunch or Dinner for some great food at great prices and our very own brand of Sparky’s Brew. While you are here, walk around the restaurant and enjoy the decor that honors our CT Firefighters … we’re all about the Burgers, Brew & Brotherhood … And we are OPEN to serve the residents & visitors of Hartford! We have been to the Hook and Ladder several times and the food and atmosphere are great! My daughter still has the plastic firefighter’s helmet the waitress gave her. You don’t believe that “no one comes downtown on the weekends” then don’t……you’d just be wrong. People who don’t own and operate eateries ALWAYS put their foot in their mouths when the give eateries “business” advice. You think its busy because those events you mentioned brought in “hundreds” of people? ARE YOU KIDDING? HUNDREDS? And you think HUNDREDS counts as ALOT? McFriggen Donalds closed downtown. Did that REALLY sink in? The last hope for Hartford left with the Whalers. With them, it was ALMOST a city. Hartford needs A HELL of a lot more then “festival of lights”. Business FILL a need. CREATING a need is a lot more difficult and requires a lot more cash than most eatery owners have. I think there is ONE thing that could help hartford. And that is relocating A REAL COLLEGE downtown. And I mean a real college. Like Boston, Like NY. Like Providence. Downtown colleges bring a city ALIVE. Shoot, they would build a 30 foot wall around New Haven if it wasn’t for Yale. Those restauranteurs and bar owners who slit their wrists if that place were ever to close. To revive Hartford, you need BIG STEPS. Not those famously Hartford “photo op” steps. You need bold steps NOT weighed down with politically correct social concerns. These steps must be 100% ECONOMIC steps. People with SPENDABLE INCOME must be brought into the city, and given INCENTIVES to come here…..this is a BUSINESS decision. All of Hartfords venture always seemed so bogged down with social “throw me a bone”, but its never a clear cut finacial move. Or keep downtown Hartford as it is now. A safe, clean, boring DEAD weekend town. Nothing wrong with that, but if Hartford wants to be a big boy, its got to put on its big boy pants.